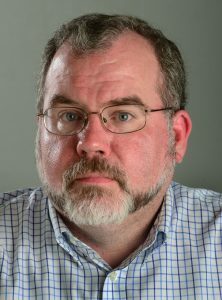 I was thrilled to learn yesterday that Ken Ward, Jr. of the Charleston Gazette-Mail was awarded a MacArthur Fellowship from the John D. and Catherine T. MacArthur Foundation. Ken is a journalist, a skill he has developed for 27 years. Ken takes a story passed its initial breaking news phase. He follows it to new places, long after other reporters have forgotten about it. This is particularly true when government agencies have failed in their duties to protect public health. Some years back, I remember Ken telling me who he gives credits for his approach to reporting. It was the Charleston Gazettte’s late publisher, W.E. Ned Chilton III who coined the phrase “sustained outrage.” Chilton, as Ward told me, expected the Gazette’s reporters to embody that motto by taking a long-term view of the issues that face West Virginians. “Sustained outrage” captures so well the way that Ken approaches his work, especially on matters involving safety in workplaces and communities. I’ve followed Ken Ward, Jr.’s reporting for more than 20 years. He is a watchdog for West Virginia’s communities and the workers employed in the state’s hazardous industries. The federal agency at which I worked—the Mine Safety and Health Administration–was often the subject of his reporting. I’ll admit it kept us on our toes. When a coal miner was fatally injured on the job or another type of serious mine safety incident occurred, we knew Ken would soon be calling and asking tough questions which would get to the heart of the matter: Did the agency fail in its responsibility to ensure coal miners have safe workplaces? His questions caused us to reflect constantly on our performance and effectiveness. I have indeed thought of Ken as a genius. His memory is unparalled which adds to his skill as journalist. Not only can he recall facts and quotes from stories he wrote years ago, he also remembers stories written by others. He reminds me of the TV character Columbo or one of those other TV detectives from the 70’s. He’s dangerous for the bad guys because he never forgets a fact and he’ll catch them in an untruth. Ken Ward, Jr. is curious but not obnoxious, gifted but not arrogant, dogged but respectful. He asks the right questions and he demands the answers from those in positions of authority and responsibility. He represents the very best in public service reporting.